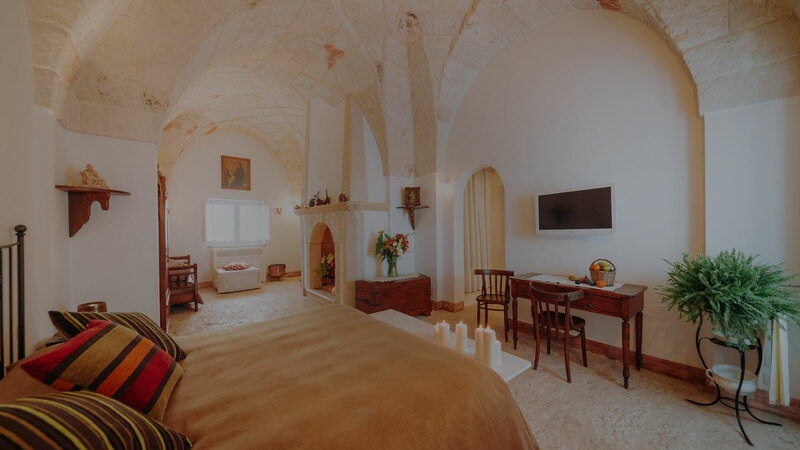 Choose the dates, select the type of room, check availability and organise your ideal holiday in Puglia. For the latest information on rates, for special requests or to better customise your stay, contact us. in the heart of Puglia. Leave the world outside, take a break from everyday life and experience the Masseria, in contact with nature. And let us think about everything else. A place out of time, immersed in the Apulian countryside amongst olive and citrus groves: Masseria Ancella welcomes you with well-being and good food. 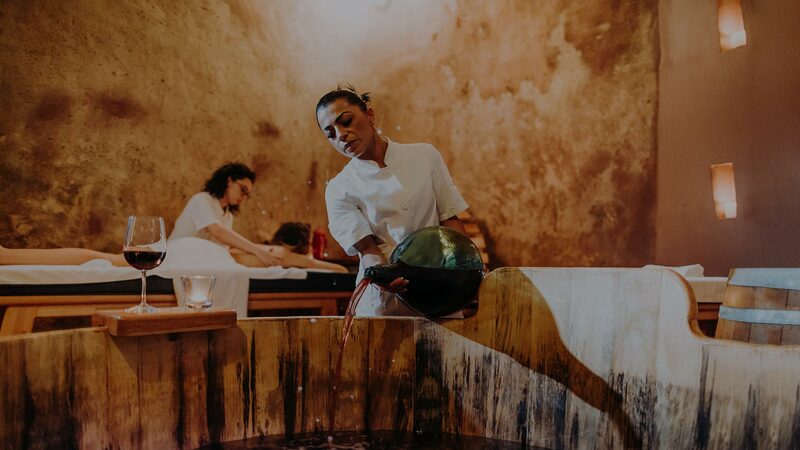 The vegetable garden just a few steps from the kitchen, the SPA experience based on red wine within the characteristic Trulli furnished in a rustic chic style are all you need to enjoy a holiday of peace and pure relaxation. Essential as the stone, pure as white, linear like the typical style of the farmhouses. Our suites evoke the warm and refined atmosphere of the past, supporting modernity just to guarantee maximum comfort. Every morning our chef carefully selects the best fruits and vegetables from our land. From this meticulous selection, made with passion and devotion, dishes inspired by the rural peasant gastronomic traditions are born, revisited with a gourmet note. Immerse yourself in wine? You can, and is also good for health! 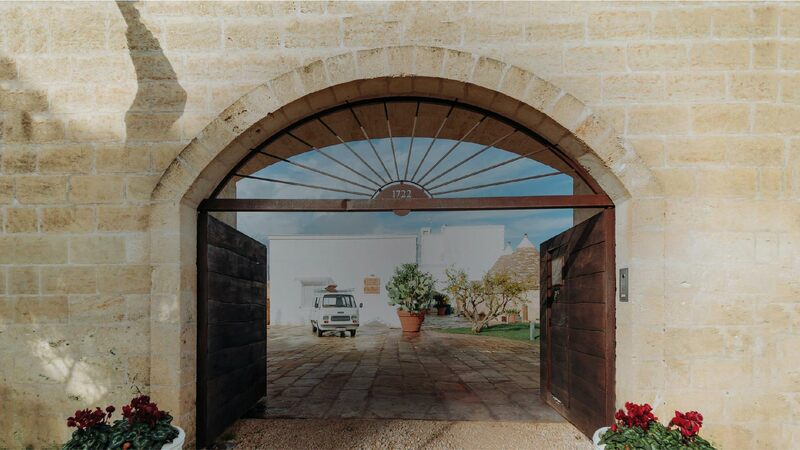 The SPA at Masseria Ancella, with treatments based on grapes and wine, is one of the few in Puglia and Southern Italy. The exclusivity of vinotherapy, or “wine therapy”, is due to the detoxifying, tonic and aesthetic bioactivating properties of the treatments. 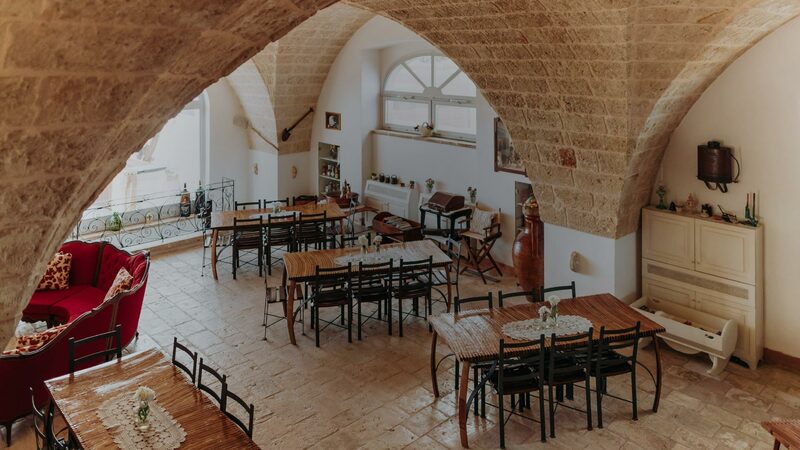 There is nothing better than to have lunch and dinner in a welcoming atmosphere, with genuine dishes and the typical warmth of a Pugliese farmhouse. This is why we organise events with themed menus and traditional Apulian dishes revisited by our chef. Discover the services offered in our exclusive spa with wine therapy and book treatments based on grapes and wine. Select the type of wellness path you prefer and fill out the form to book. Select the type of wellness massage you prefer and fill out the form to book. fill out the form to book your body treatment. Discover the services offered in our exclusive spa with wine therapy and book treatments based on grapes and wine. Select the type of facial treatment you prefer and fill out the form to book.